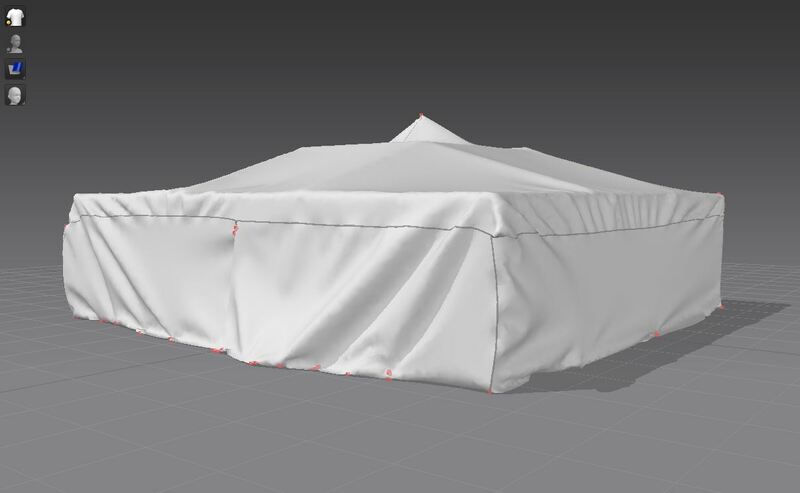 The first thing I did was make one more tent in marvelous designer. After many different attempts I got something working. 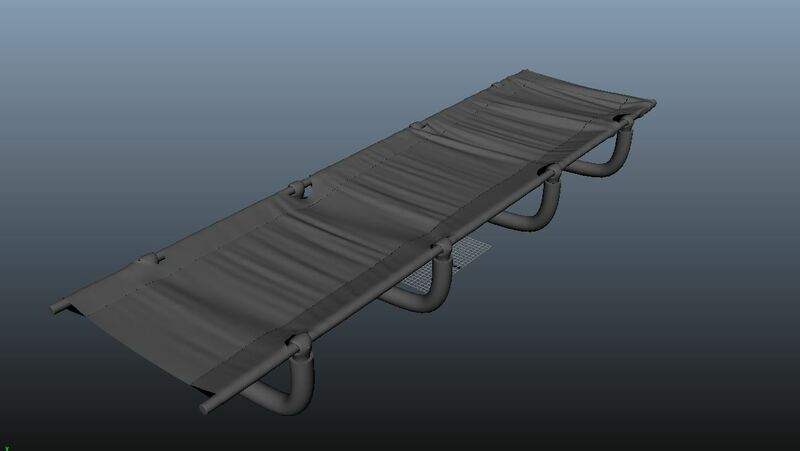 I modeled the interior for the airplane shot. There was some confusion on the look, so I ended up doing some remodeling. In the end it all worked out. Additionally I went back into marvelous and had some fun destroying some tents for the camp scene. Figure out whats going on with the FX. 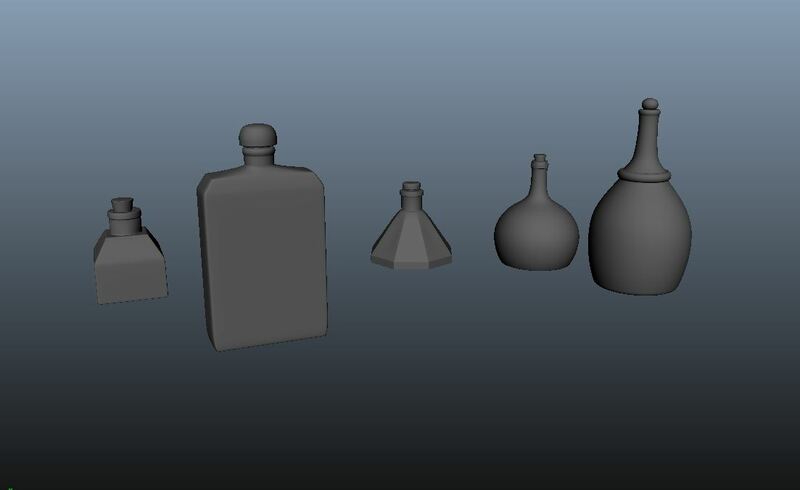 I modeled and uved five bottles, a knife and a small tent. 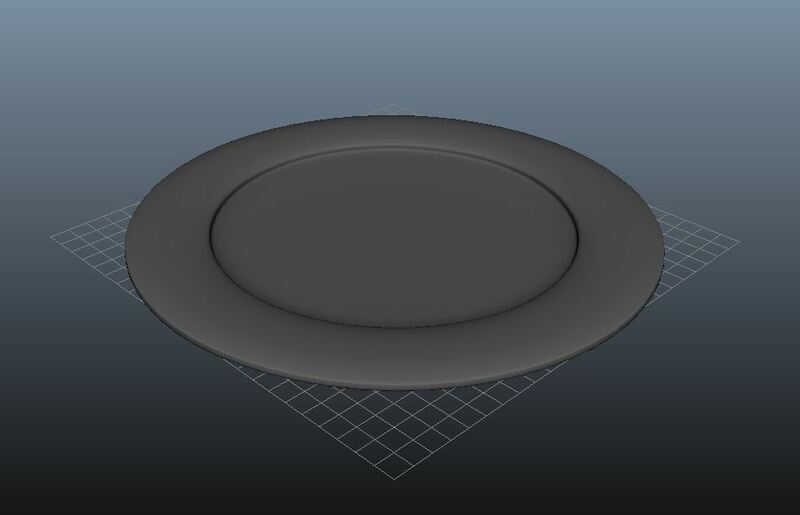 Additionally I worked on the shoggoth rig. I fixed some weighting in the front of the shoggoth and I added more control to the big mouth so it can be moved around. 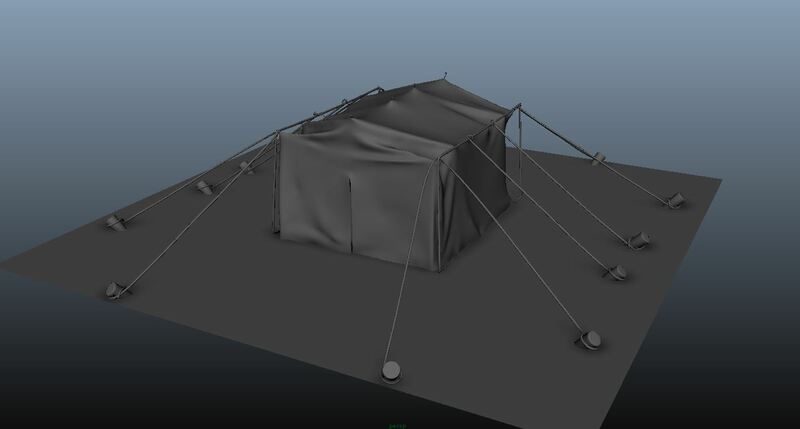 Work on modeling tents and environment art. 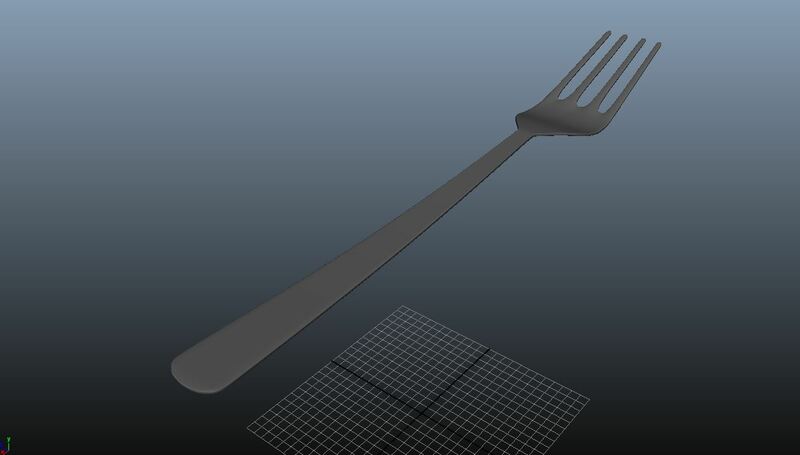 I got a lot of modeling finished this week. 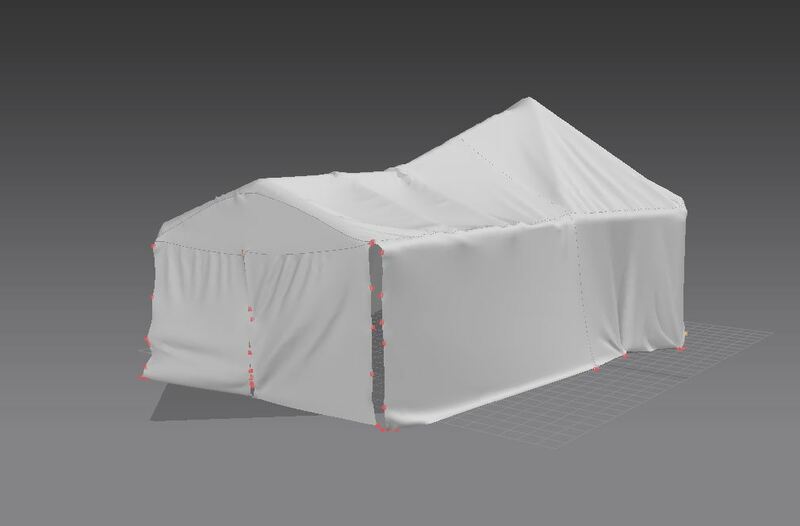 I took a bit of time and experimented making a tent in marvelous design. 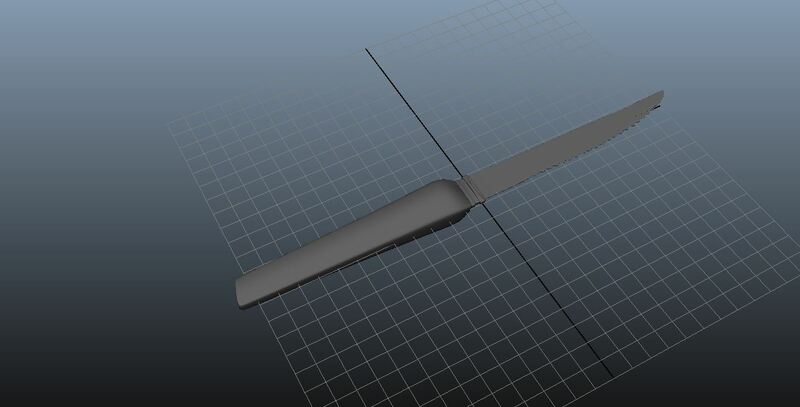 The first design did not seem to be held up by anything. Therefore Ethan made some frames, then I draped the cloth in marvelous. I made two of the three tents. 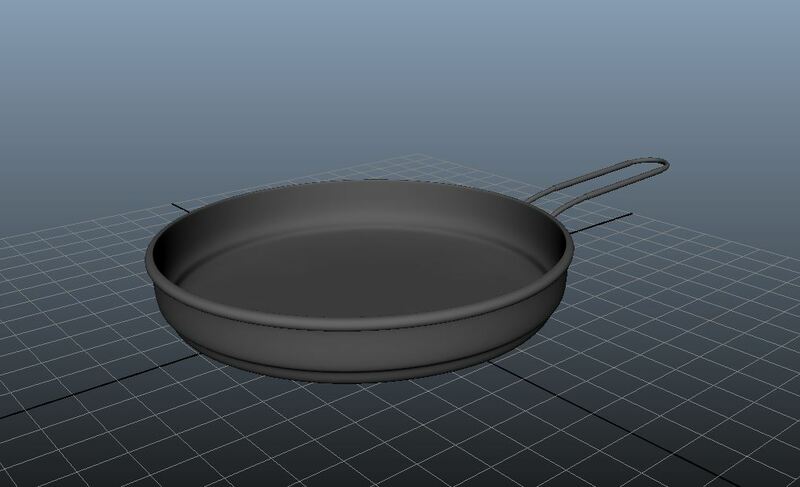 I also modeled and uve`d a pan, fork, cot, and plate. Fix up some issues on the shoggoth rig. 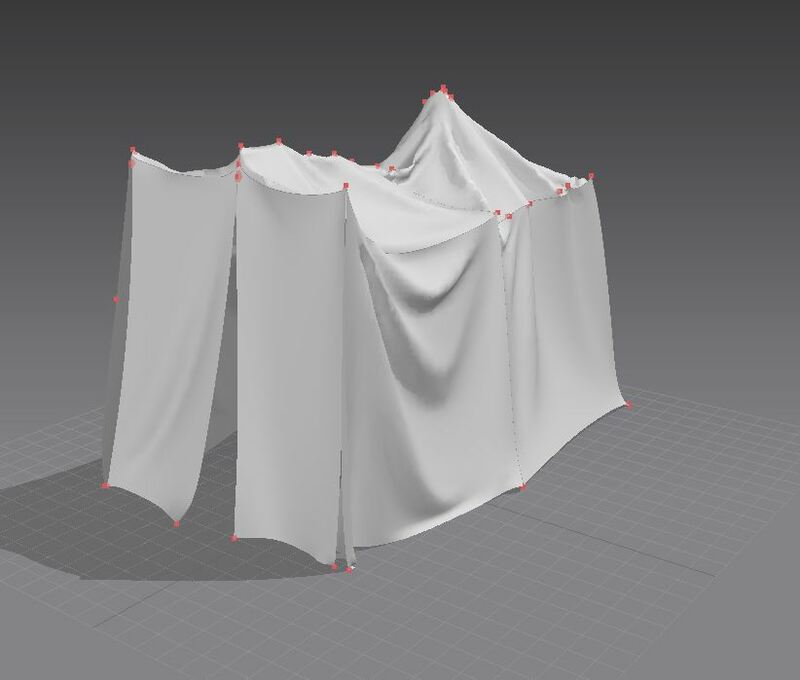 Model last tent, model other props. I was not able to get much done this week. I got the flu over the break and was dealing with trying to get better. I did practice some fx work for when the animation is complete, I also tried to work ahead so I can dedicate most of my time to work on the fx when the time comes. For right now I will be working on the environments with Ethan and Josh. I finished rigging the shoggoth. I added in clusters with fk and ik controls to all of the small tentacles. I added in SDKs in for all of the mouths and eyes. I added in some additional controls to morph the body. The only hard part of the week was trying to get the weighting to work with the tentacles and the body moving. To help save time I am rendering the turntable of the shoggoth on my home computer. I set up the shaders and textures that val and josh made then after a few tests with the lighting I was able to get something working. Fix / add anything to the shoggoth rig. Rig more of the shoggoth. 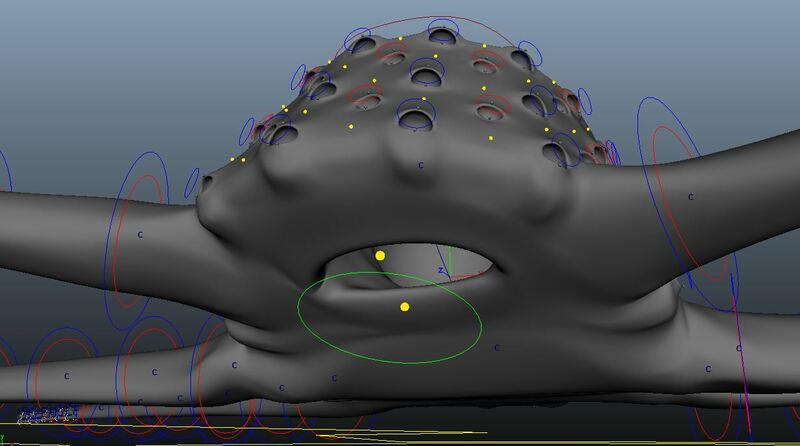 The rigging of the eyes and mouth was not a very difficult task. It was straight forward placing the joints and controllers for all the eyes but it was very tedious. The base painting of all the weights for the eyes and mouths took awhile but was straight forward. The hardest part was smoothing out all the weights, and getting the eyes to work with the shoggoth bending. 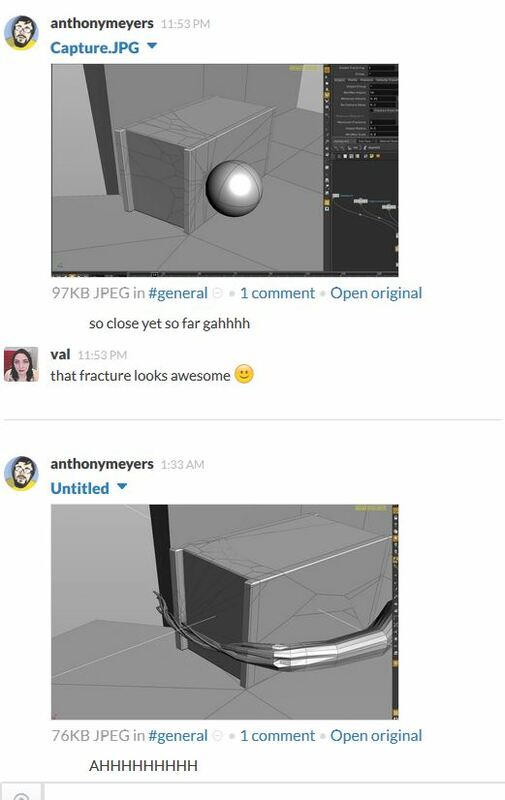 On a good note all of the mouths and eyes have been rigged.